Stay true to the data. If the data is telling you something, you don't want to massage it to say something else. Communicate by design. When it comes to designs and charts, sound grammar is key to clear communication. Don’t underestimate the importance of color choice. Don't stick with default choices; using a more natural palate appeals to people's intuitive understandings. Ensure that plot dimensions match data dimensions. Enabling data to be processed easily for use across multiple departments. 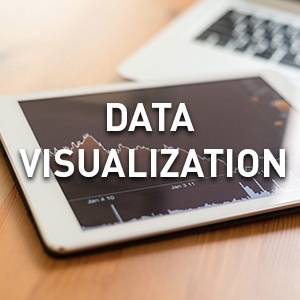 The use of data visualization in healthcare can help providers put the growing stream of data into context for executives, administrators, physicians and more. It offers a cost-effective method for communicating information to people throughout the healthcare organization while ensuring high-level data is portrayed concisely and in a controlled manner. At Syntrix, we have in-depth experience helping healthcare organizations successfully implement methods and technologies to increase their clinical, operational and financial performance. Couple that with being a Qlik Implementation Partner we can help leverage your information to produce and deliver accurate insights. To learn more, contact us for your free consultation.